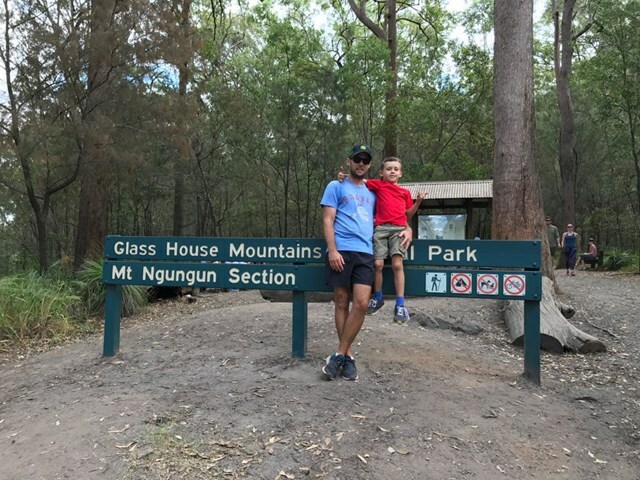 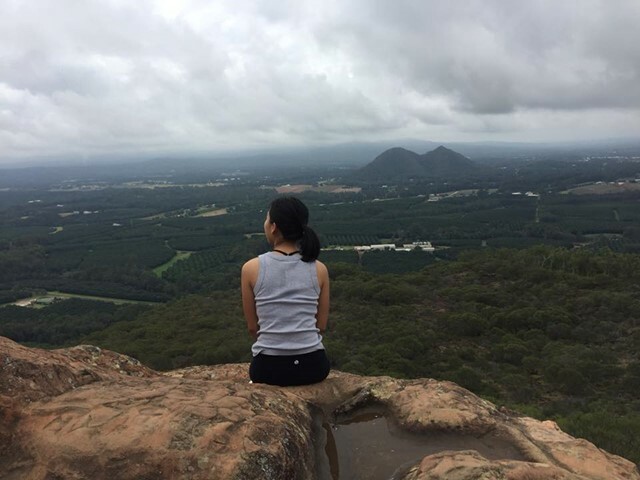 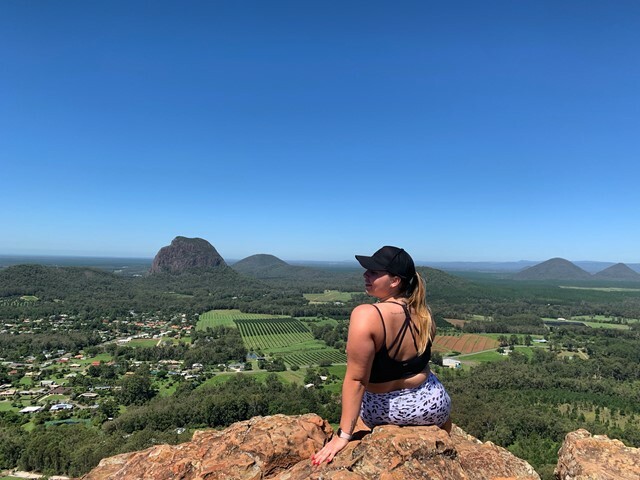 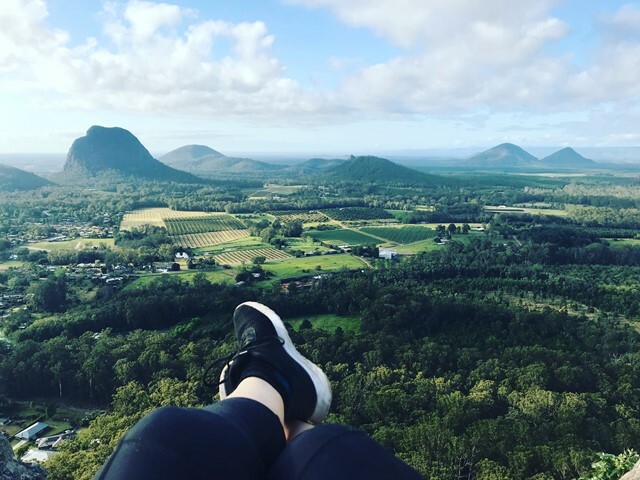 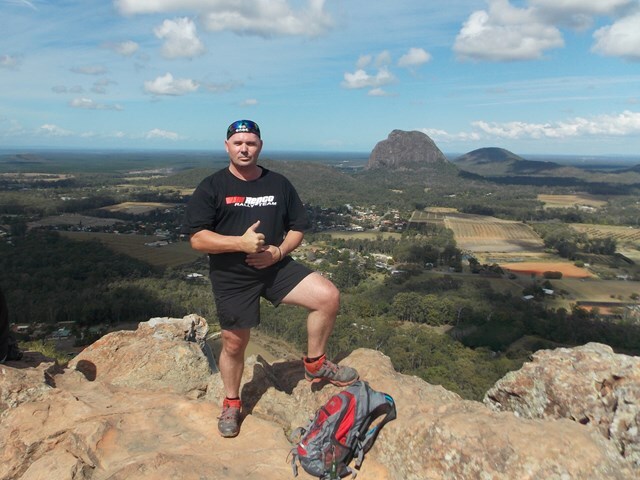 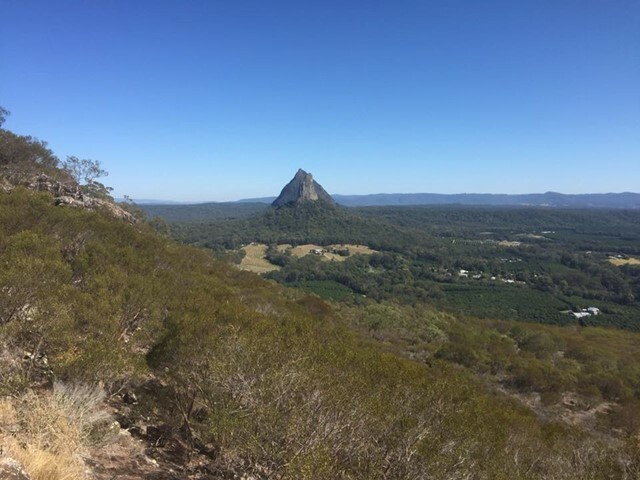 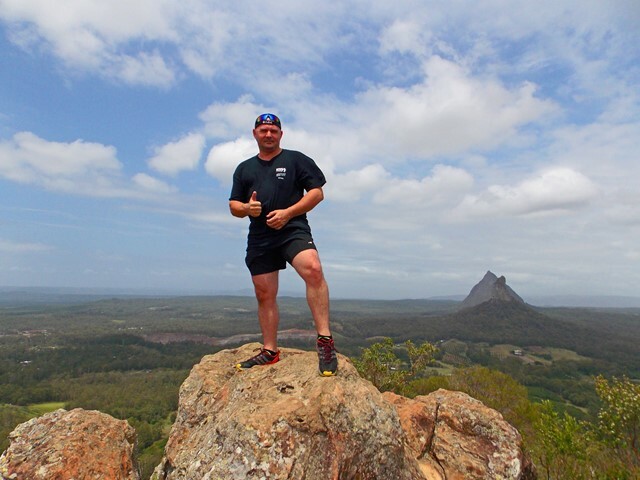 Mount Ngungun (pronounced 'noo noo')but generally known as "Gun Gun" is a very popular hike due to its relative ease and fantastic views. 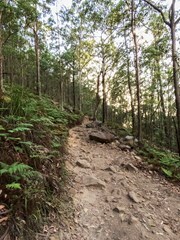 A well defined graded track with some steep sections. The track begins in open forest with a fern understory. Part way up the mountain, there is a great view of Mt Tibrogargan as the track passes a small rock overhang. 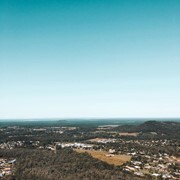 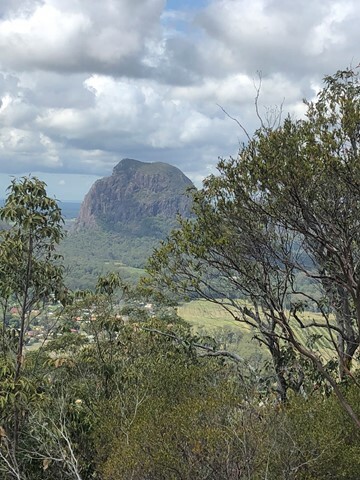 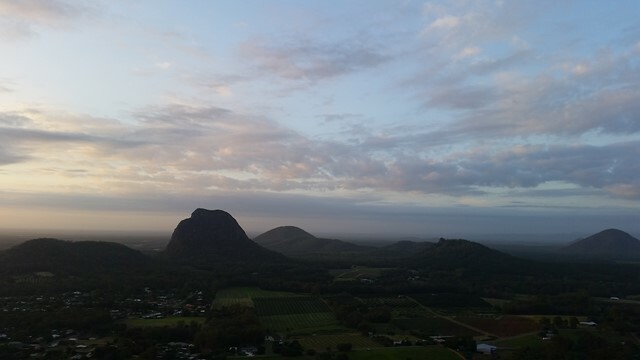 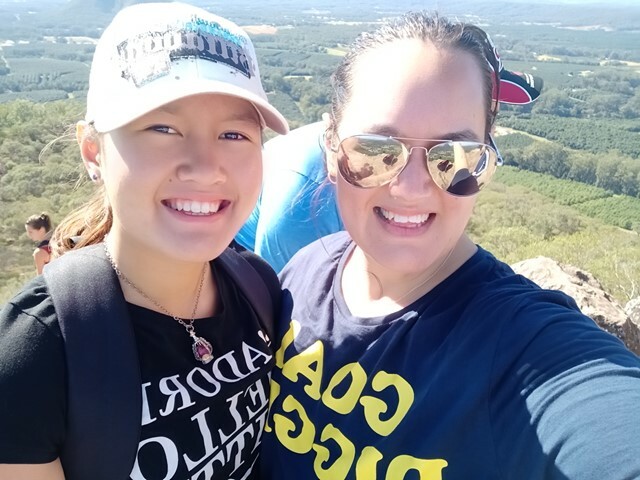 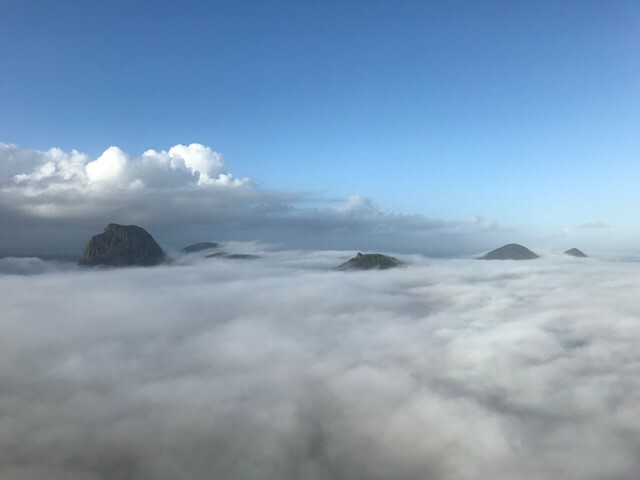 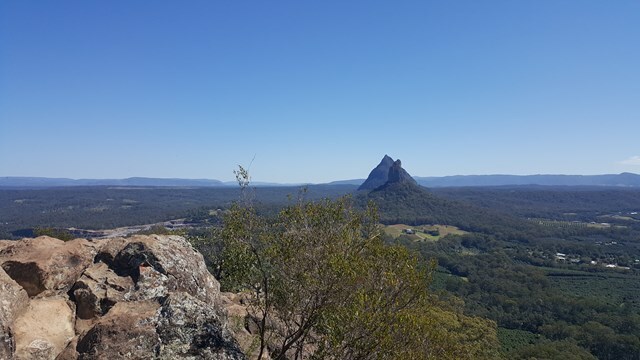 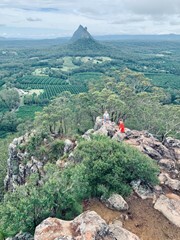 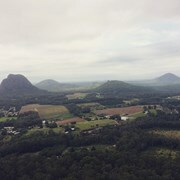 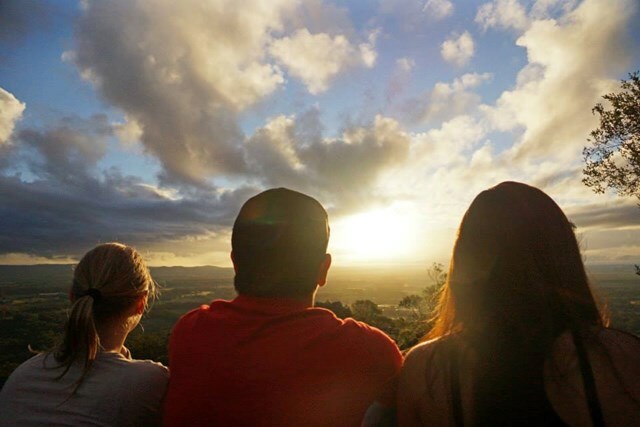 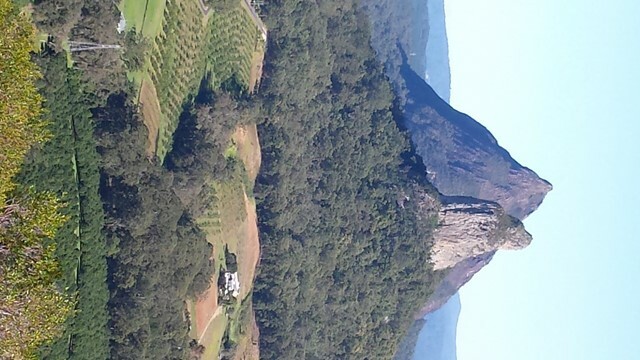 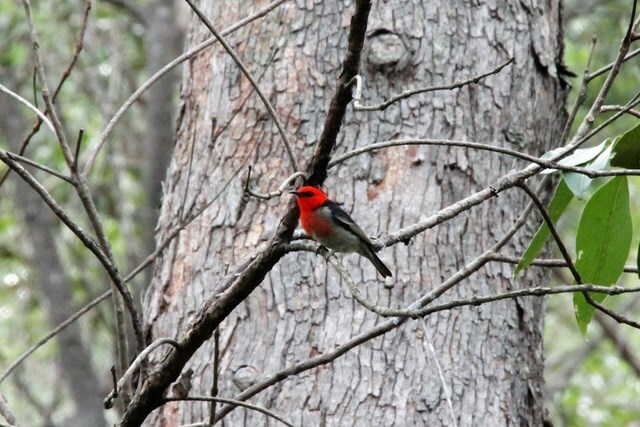 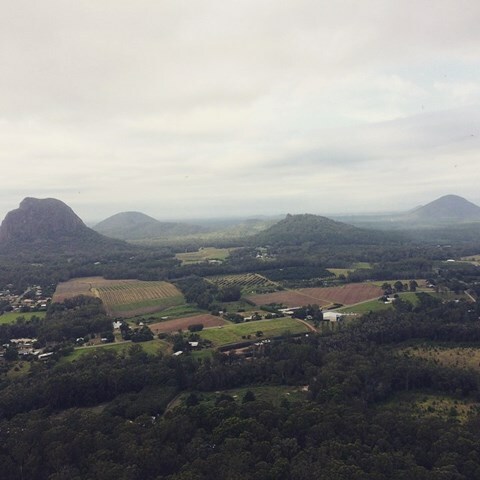 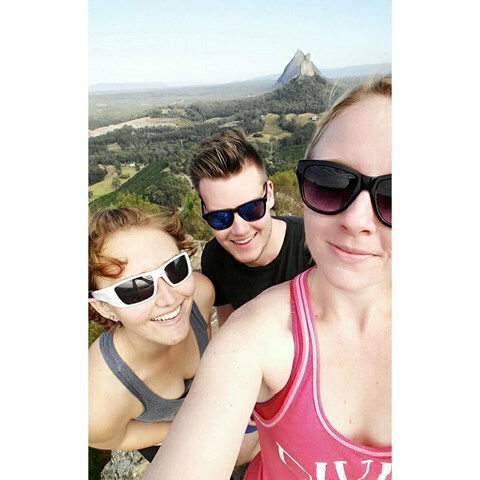 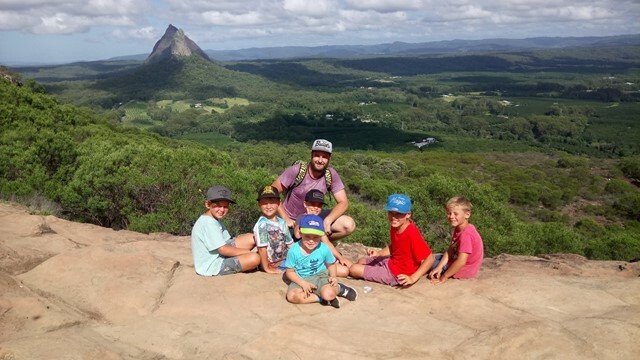 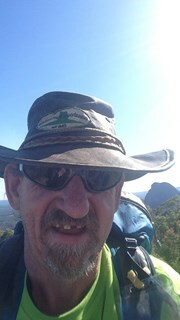 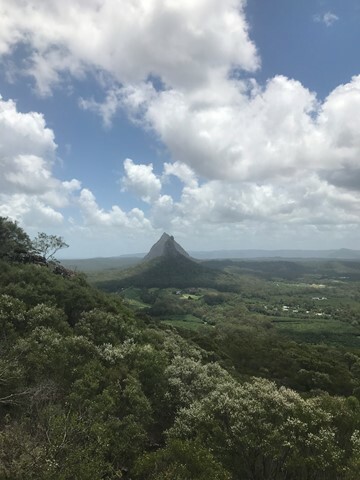 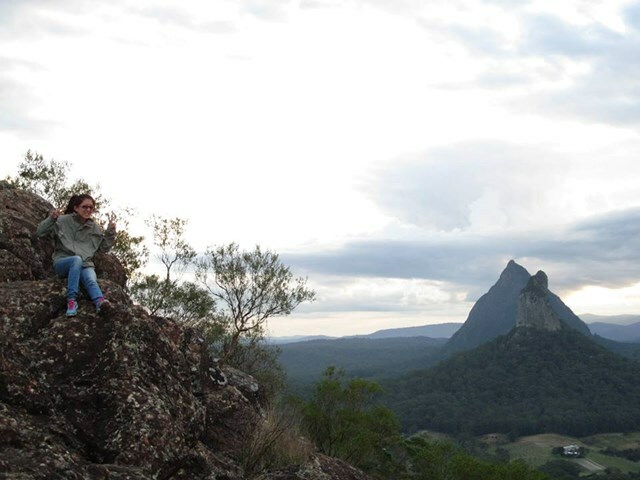 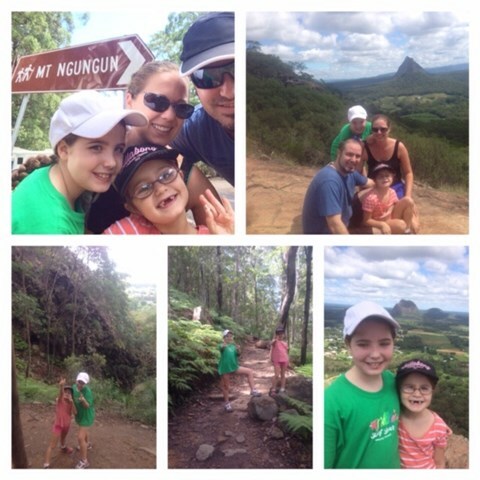 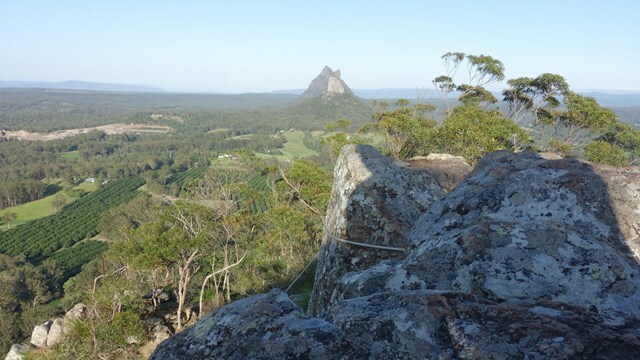 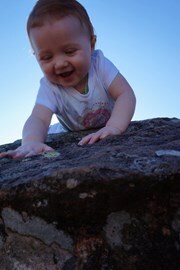 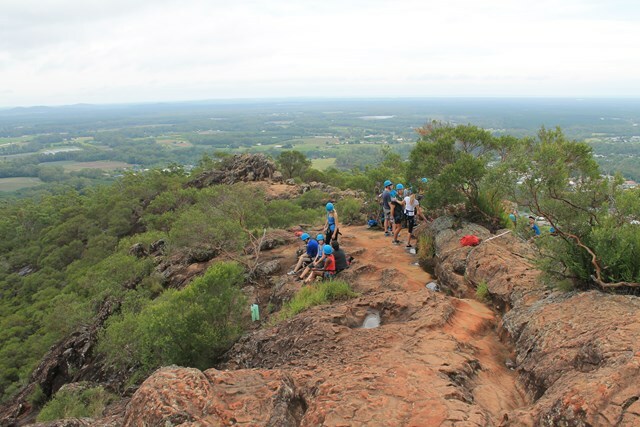 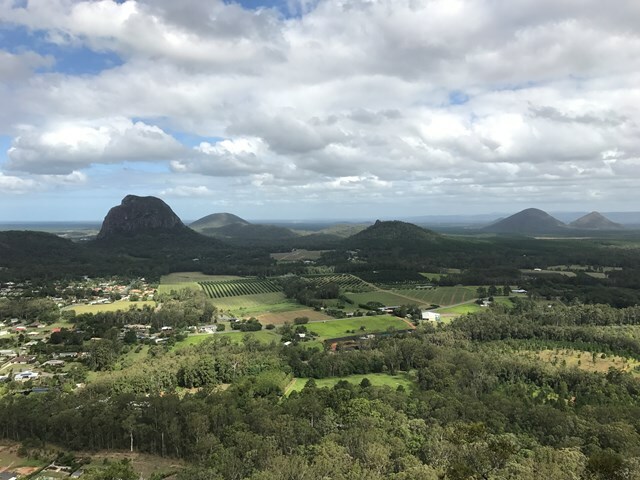 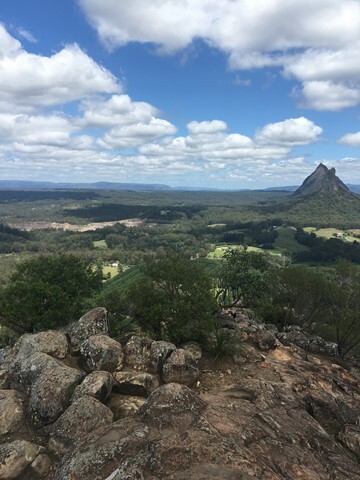 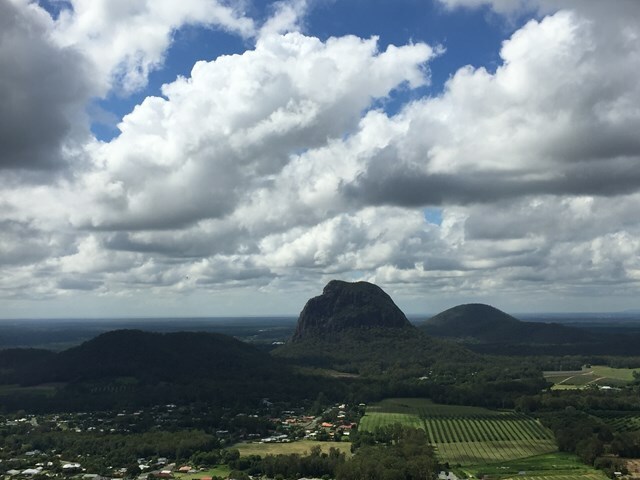 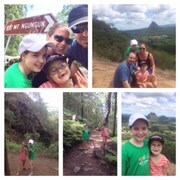 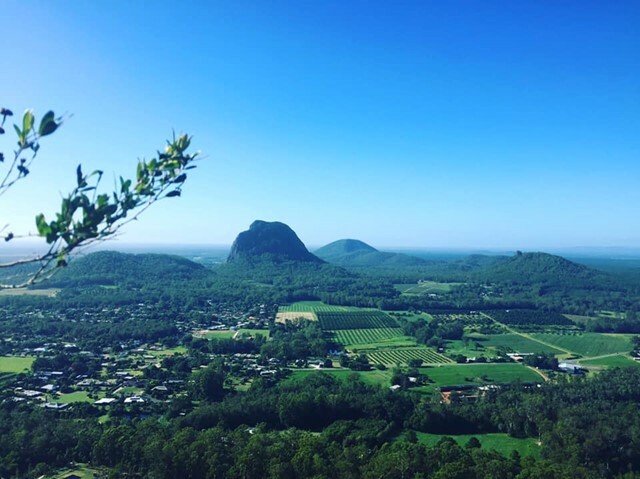 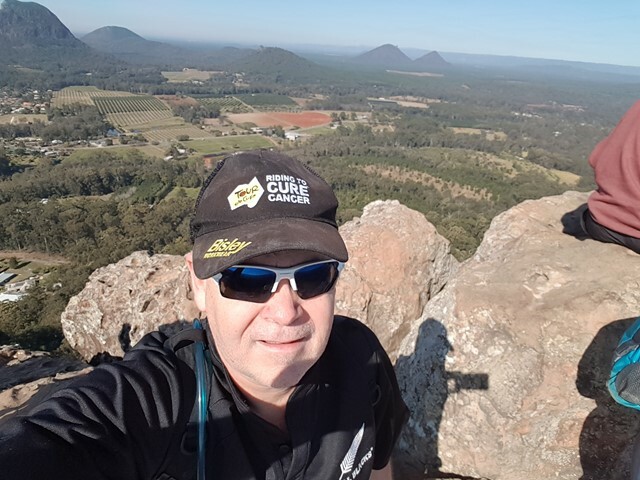 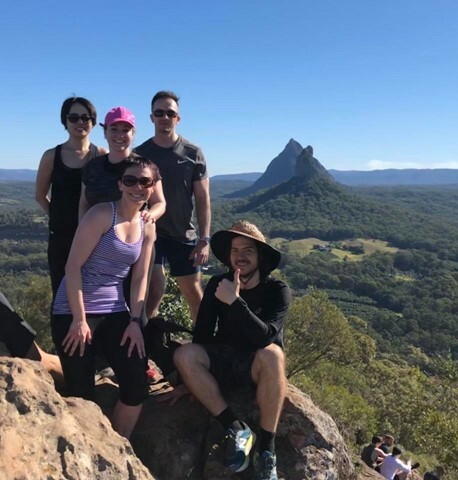 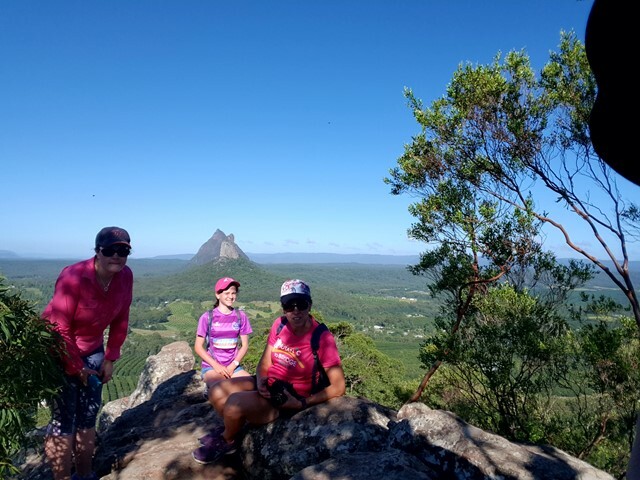 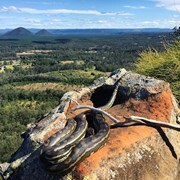 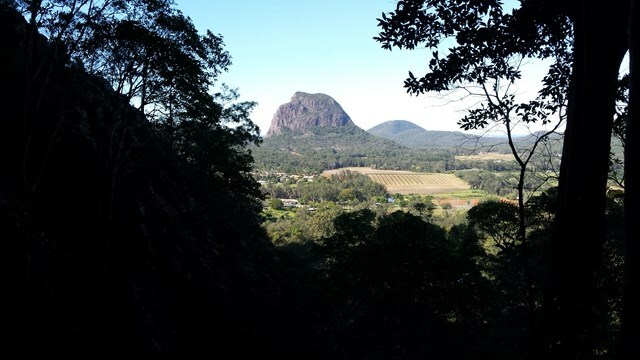 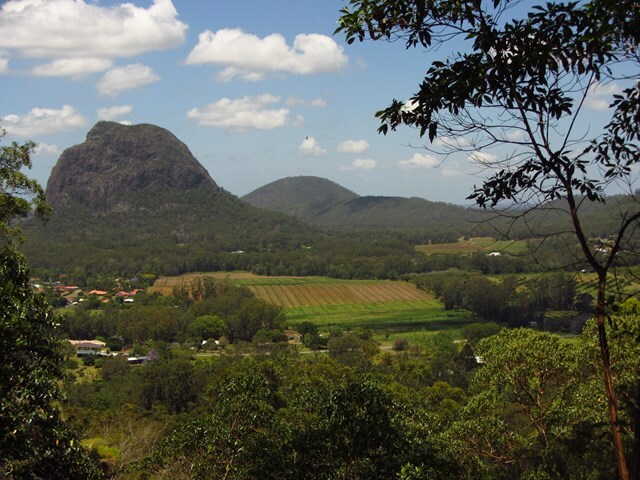 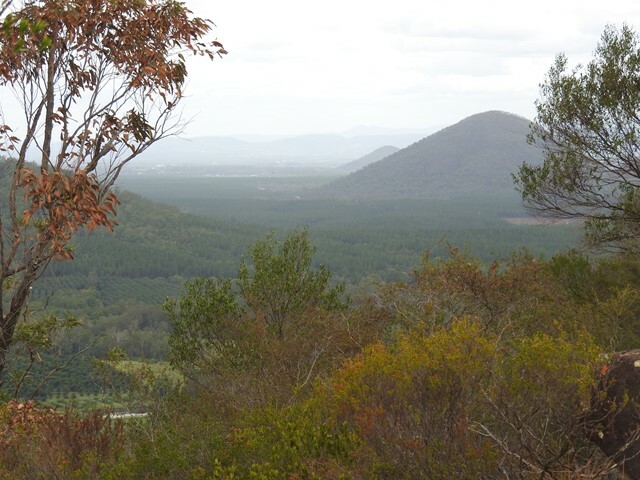 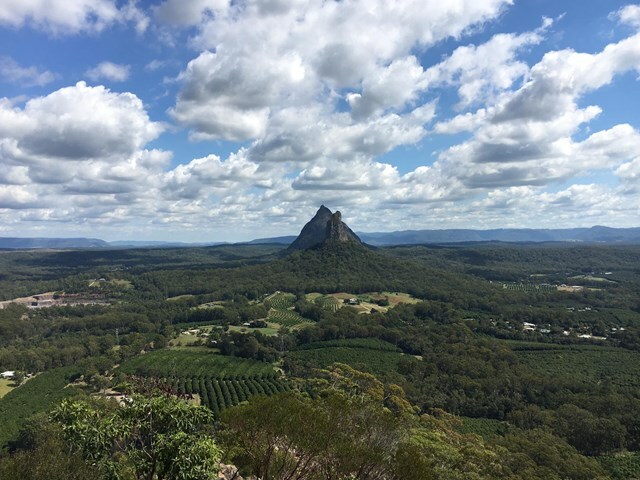 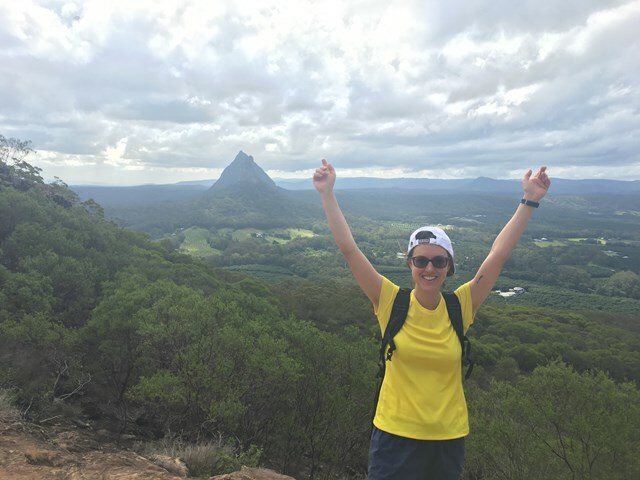 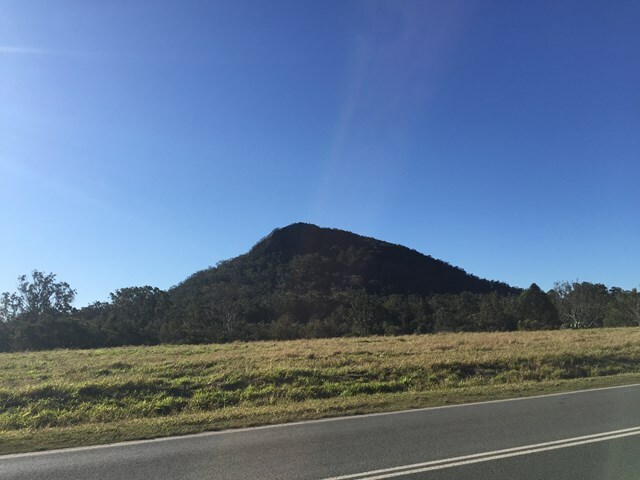 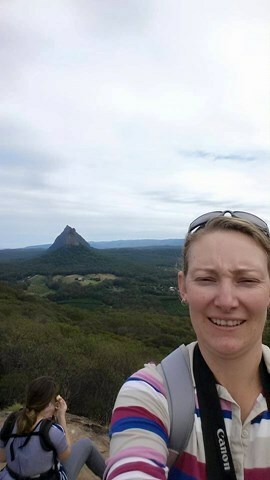 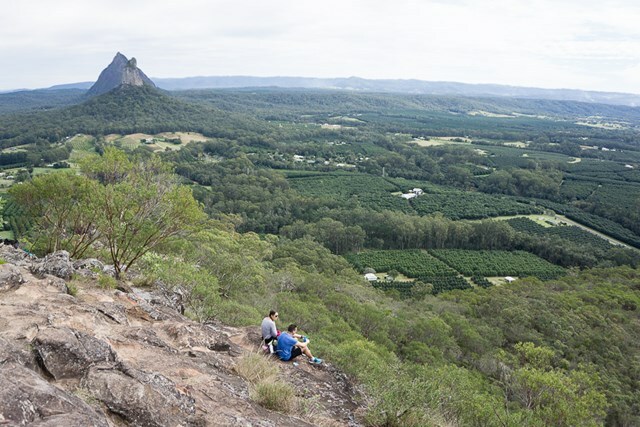 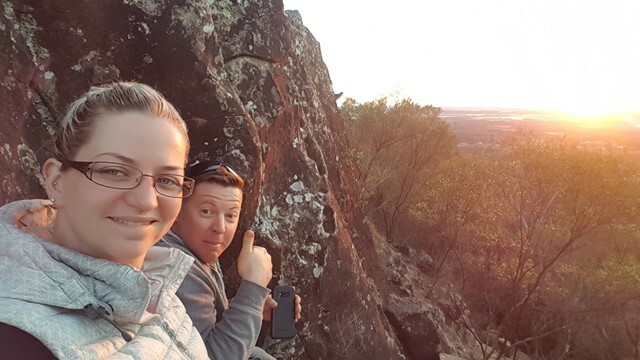 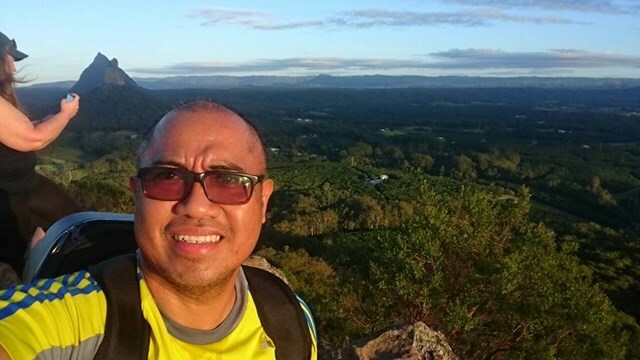 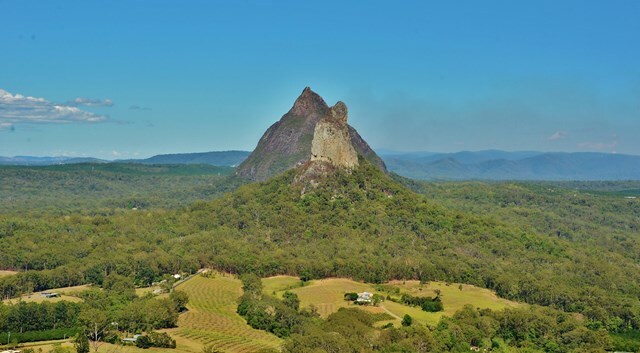 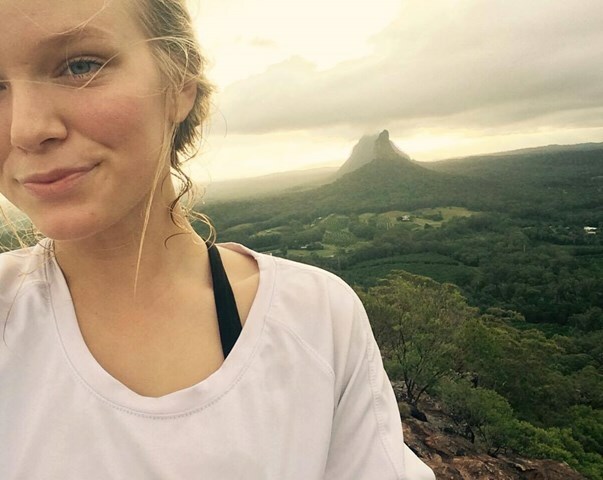 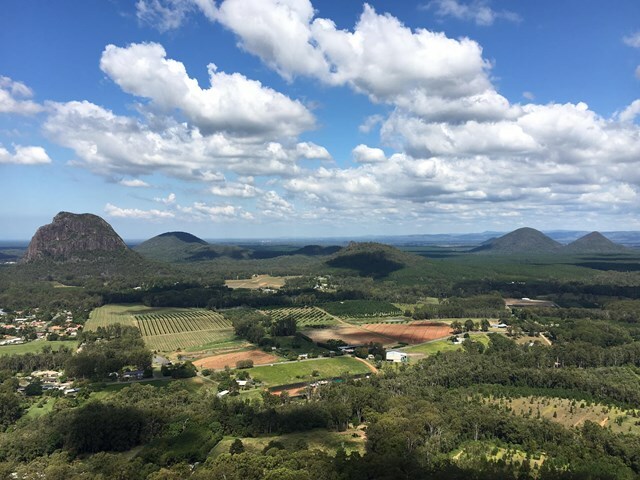 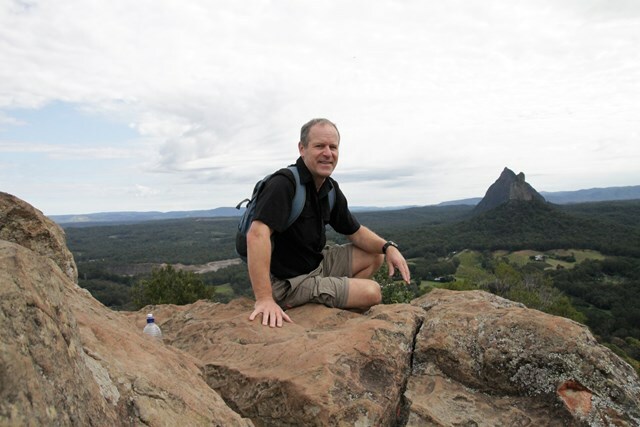 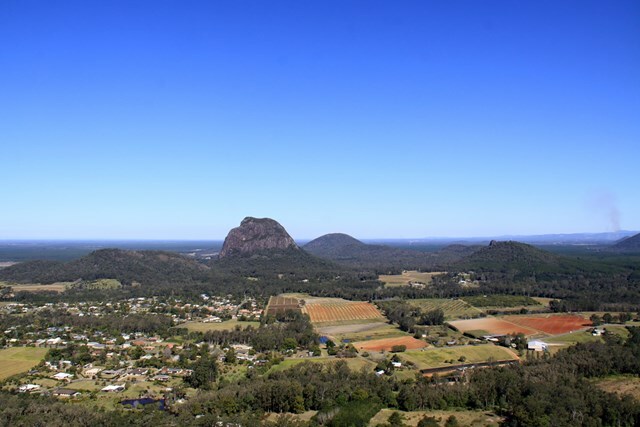 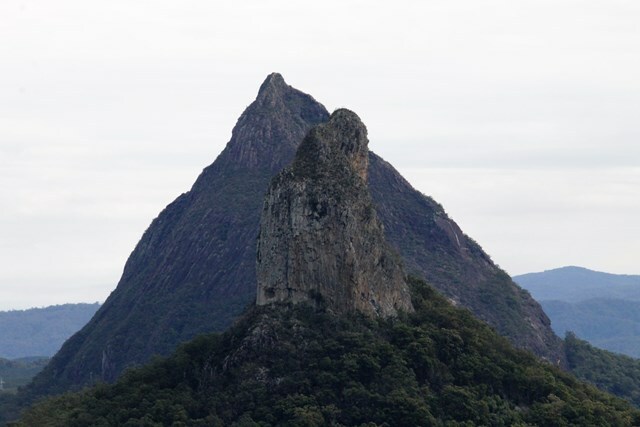 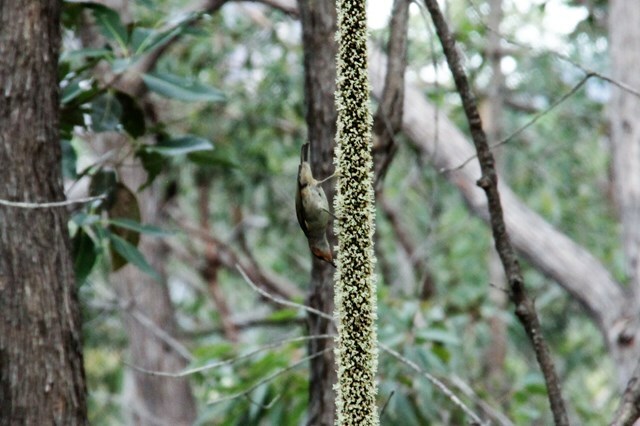 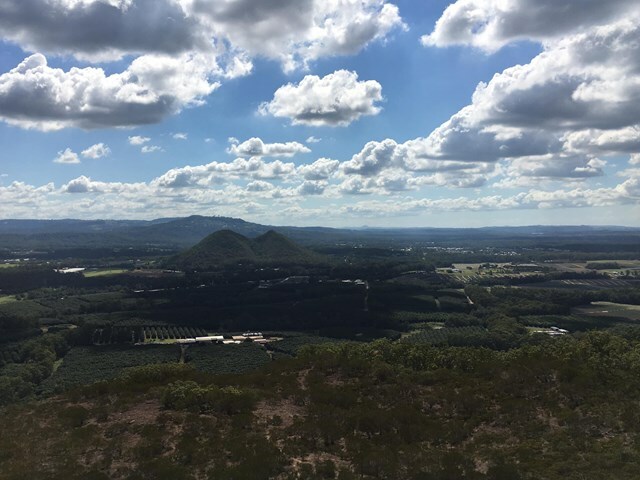 The summit provides spectacular close-up views of nearby Mt Tibrogargan, Mt Tibberoowuccum, Mt Coonowrin and Mt Beerwah. 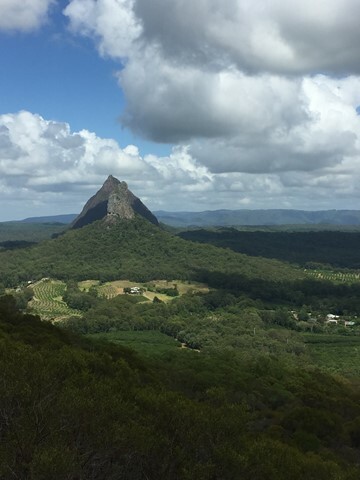 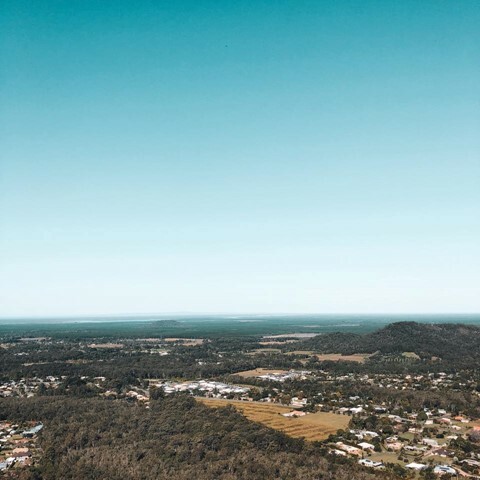 Follow Steve Irwin Way to the Glasshouse Mountains Township. 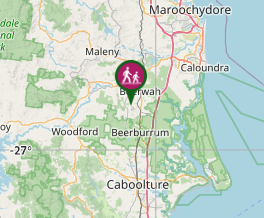 Follow the road to the west over the railway lines and turn left into Coonowrin Road at the T junction. 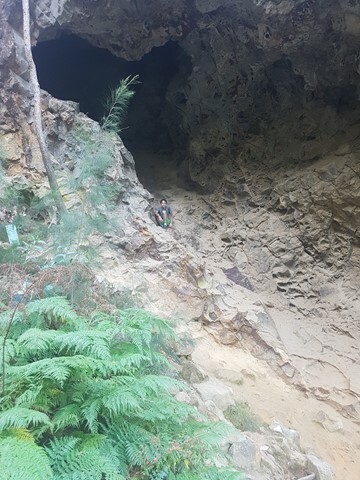 Then turn right into Fullertons Road just after the State School and along this road to the car park at the base of the mountain. 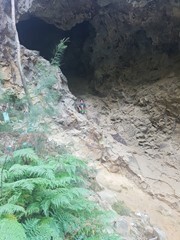 A graded path starts from the sign post and information board. 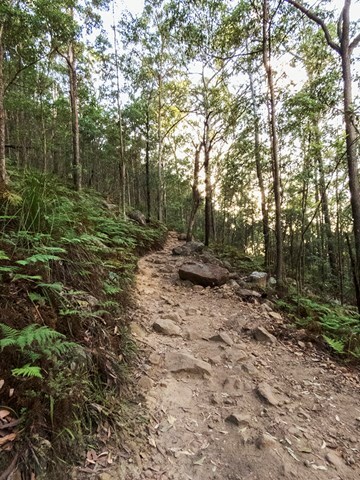 Follow the path, which switch backs up the hill till you reach a steep, loose, rocky gully, requiring big steps or light scramble/rock hop up. 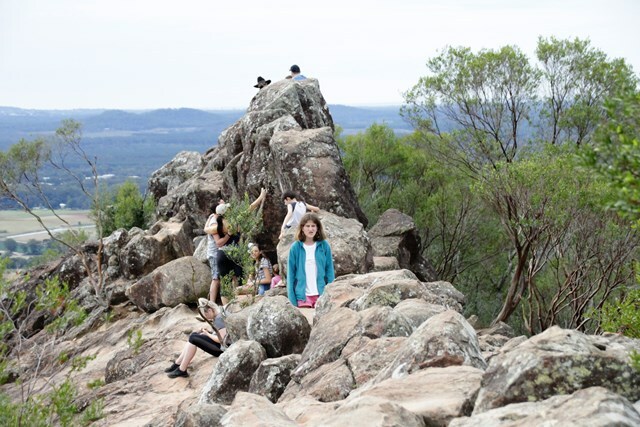 When you reach the top, it's a good place to have a rest, picnic and the view. 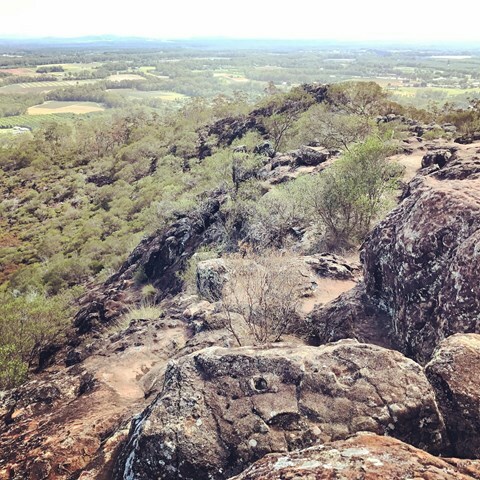 Return by retracing your steps. 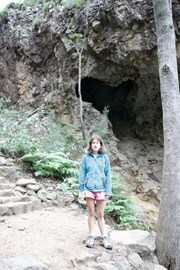 Did this walk again as the second of three hikes as it will be closed until end of August. Was disappointed to see people throwing rubbish off the summit. 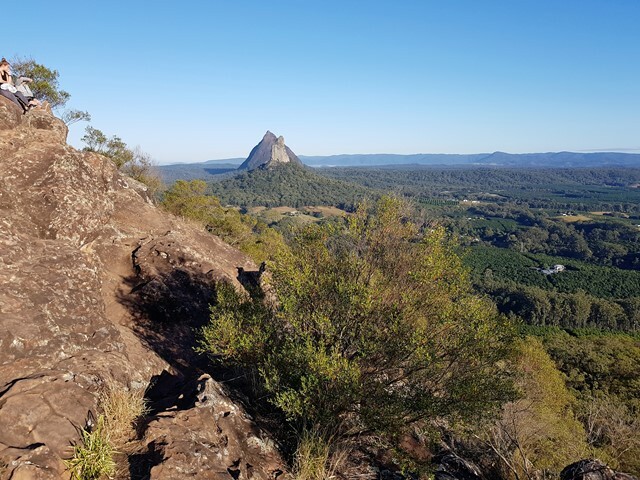 The popularity of this easy and beautiful mountain has unfortunately led to its temporary closure as people have not been respecting the environment or keeping on the walking tracks. 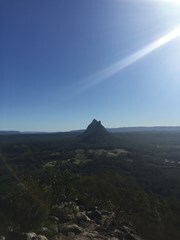 This was my 'go to' climb for about the last 12 months. 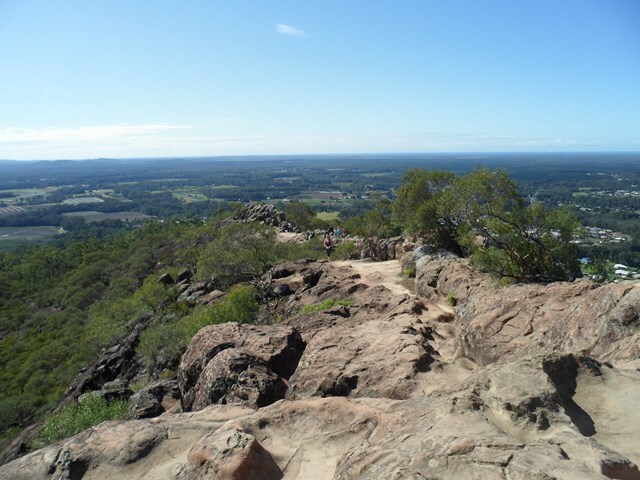 I started off just doing 1 lap and then quickly started climbing it 2 or 3 times each visit. 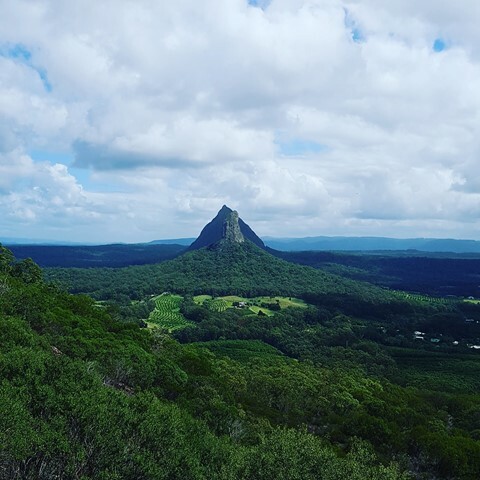 Just to make the 40 minute drive worth it. 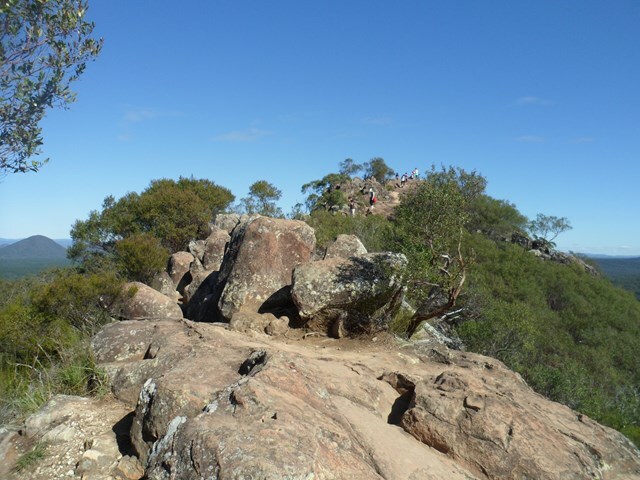 Very easy 'climb' or rather walk up the mountain. Great for beginners. 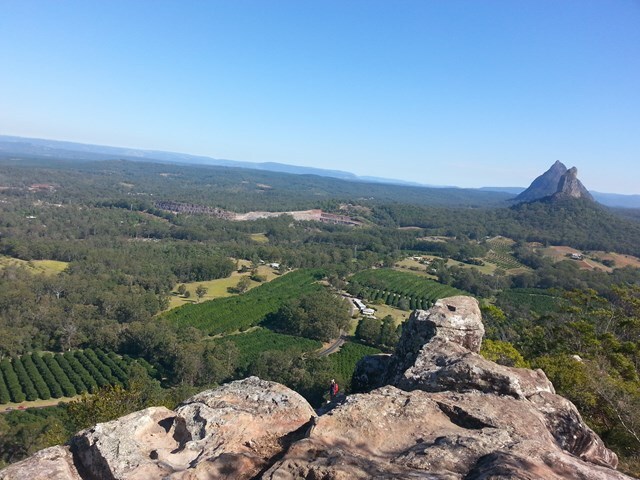 Awesome view from the top. 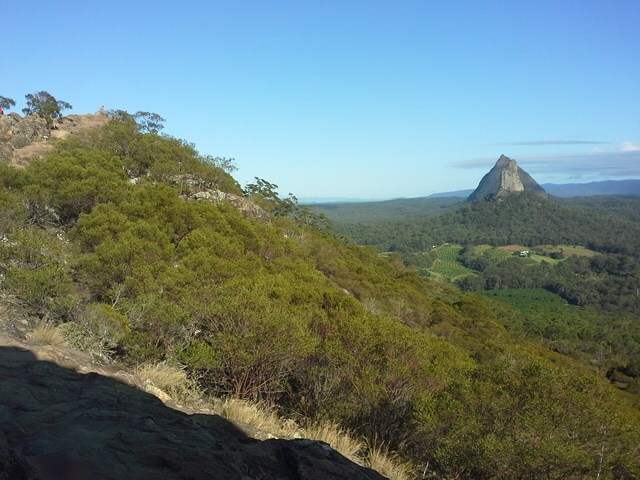 Very popular on weekends, almost too crowded! 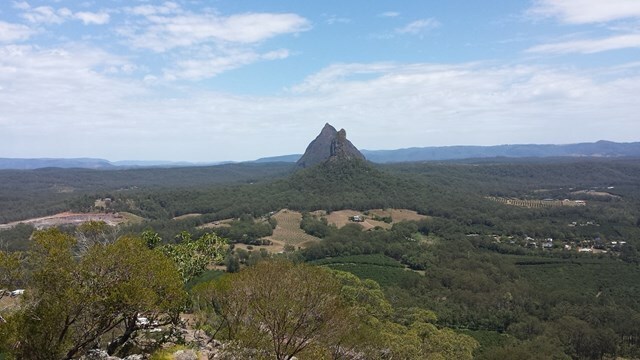 A great short walk, nice and easy with pretty scenery and lovely views at the top. 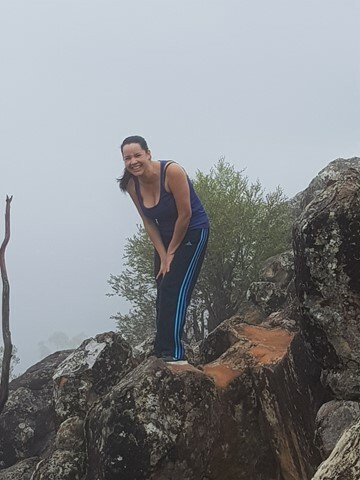 Nice foggy/rainy morning made for a quiet walk and lovely fresh air. 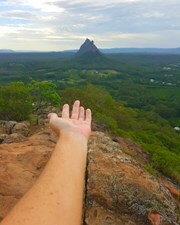 Was pretty hard getting up but the views made it all worth it, excited to go again. 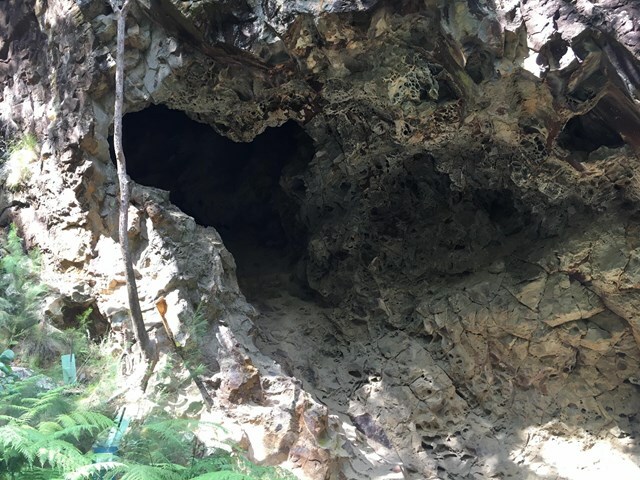 Still a great walk, starting to become quite eroded. 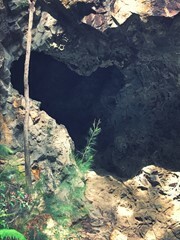 Made this with Mengyuan, Chunyue, Yuxuan and Lihong. 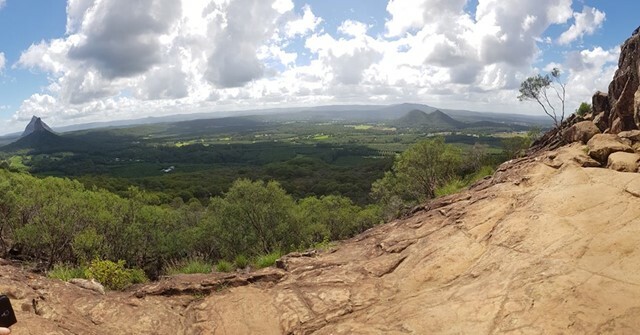 Great view and nice walk, moderate exercise. We were lucky enough to avoid the rain but lots of clouds to provide a cool day during the summer! This walk was enjoyable and interesting. 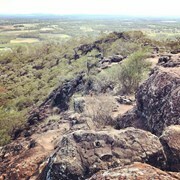 The views at the top are quite special and there are plenty of places to sit and enjoy them, although it was very busy. 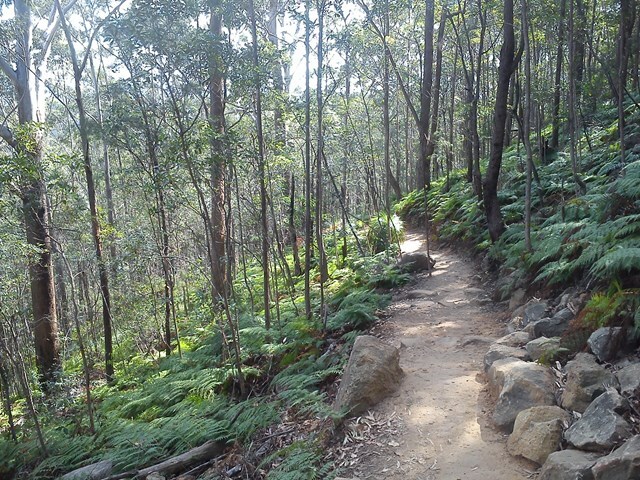 Most of the walk is shaded and the path is easy to follow. 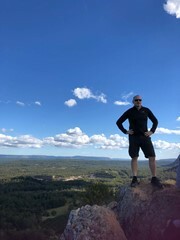 For the first time ever we had the summit to ourselves. 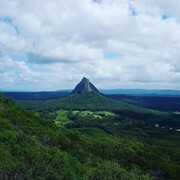 Lovely place with excellent views which explains why it’s usually so popular. 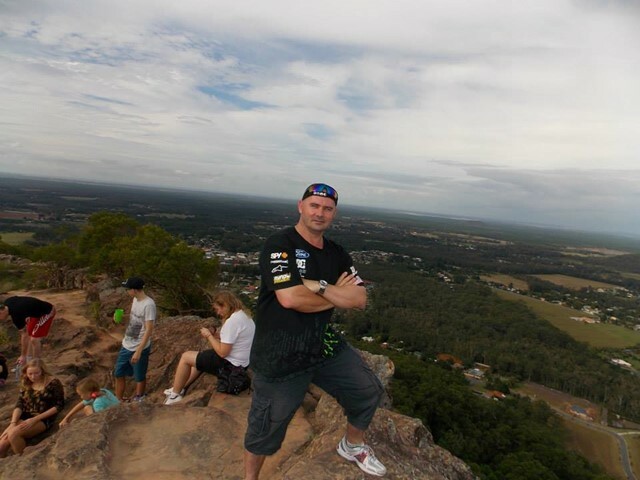 Heavily populated track, I went mid week and there were still a ton of people. 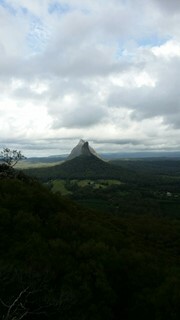 Awesome views of aurrounding glassehouse nountains.